Have you ever bit into a piece of fruit that was perfectly ripe and tasty? It’s a satisfying experience and a wonderful treat for your taste buds. In contrast, have you ever bit into fruit that had all the appearances of being delicious, yet it was sour, moldy, or dry? Not so good, right? “Love, joy, peace, forbearance, kindness, goodness, faithfulness, gentleness and self-control” (Galatians 5:22-23). All believers have the fruit of Spirit available to them. You don’t have to ask God for love, joy, or peace…you already have it in you. However, you may need to ask for a greater yield of your fruit on a day to day basis. The size of the fruit is different among believers. Some people spend time cultivating their fruit so that it’s flourishing; while others tend to neglect their fruit and it becomes unproductive. Our fruit of the spirit is one piece with many different characteristics. Every so often believers need to make sure they are growing up spiritually. Perhaps it is time for your fruit inspection. Use the following Fruit Development Assessment (F.D.A.) to determine the condition of your spiritual fruit. Check the fruit you need the most nourishment to grow. “Dear children let us not love with words or speech but with actions and in truth” (1 John 3:18). Is your love unconditional? Or is your love most evident when everything goes your way? This type of fruit keeps on loving even when it’s difficult to show affection to others. The capacity to love grows out of the agape love from the heavenly Father. “For the joy of the Lord is your strength” (Nehemiah 8:10). Can you have joy in the chaos? Or does your moodiness hover over everyone like a cloud? Not that anyone should be joyful about the hard times, but rather your joy comes from #1) God is with you through it and #2) God uses every trial to help you become stronger in the faith. “Do not be anxious about anything, but in every situation, by prayer and petition, with thanksgiving, present your requests to God. And the peace of God, which transcends all understanding, will guard your hearts and your minds in Christ Jesus” (Philippians 4:6-8). Is your inner person wrecked with anxiety and worry when everything falls apart? Or can you rest in God’s peace? There is no peace for the wicked; however, for believers it is available every time you pray and leave your concerns with God. “Being strengthened with all power according to his glorious might so that you may have great endurance and patience” (Colossians 1:11). Can you be still and wait on God? Or are you tempted to always move ahead so you can stay in control? Forbearance is a fruit that will grow with your experience of being stretched in faith especially in times of trial. Forbearance is another word for patience; you don’t have to pray for patience…it’s there already! “And the Lord’s servant must not be quarrelsome but must be kind to everyone, able to teach, not resentful” (2 Timothy 2:24). Do others sense your kindness in words and actions? Or are they more accustomed to your angry response? A gentle word, a soft answer, or a helping hand—all demonstrate the fruit of kindness in this culture of rudeness and selfishness. “Dear friend, do not imitate what is evil but what is good. Anyone who does what is good is from God. Anyone who does what is evil has not seen God” (3 John 11). Are your conversations marked with genuine virtue and honor? Or is your conversation tainted with worldly language, immoral tendencies, or gossip? Goodness doesn’t mean that you are perfect, but rather someone who sincerely reflects the integrity of God within. A believer who demonstrates the fruit of goodness has the tendency to believe the best about people. Does your reputation reflect dependability and steadfastness in the faith? Or do people expect you to be late, undependable, or to drop off the map on a project? Your faithfulness represents God’s Spirit dwelling within. Those who cultivate the fruit of faithfulness are compelled to complete every good work for His glory. Is your meek spirit felt around those who live or work with you? Or do they feel that you are a hard and legalistic person to deal with? A spirit of gentleness gives grace freely and consistently. Believers and unbelievers should feel at ease around you because of your presence of gentleness. Do you control your appetites? Or do they control you? Believers can demonstrate of life of self-control and discipline in a world where everyday is an opportunity for gluttony. You have the power through the Spirit to control your cravings. Are you at 10%, 50% or 100% in your fruit productivity? What matters most is that you don’t give up growing spiritual fruit. You cultivate it with the light of Jesus, the wind from the Spirit, the bread from the Word of God, and the fellowship of the saints. Resource – New International Version Bible, The Holy Bible, New International Version®, NIV® Copyright© 1973, 1978, 1984, 2011 by Biblca, Inc.™ Used by permission. All rights reserved worldwide. YouTube video “Fruit of the Spirit”. Glory to our Father who blesses us with the fruit to accomplish His will! Amen. Great work here my friend. I believe that sometimes the gifts of the Spirit tend to overshadow the fruits of the Spirit. I appreciate your biblical wisdom and teaching my friend and I thank God for you Crystal. Hi Jack! I never thought about it like that…it would be easy to get mixed up. Once again thanks for your wonderful words of encouragement. All praises to our King! Amen. I needed a daily dose of “reflection.” Wow, God is good! This is cause to do a self-check. Praise God that he is merciful and gives grace. 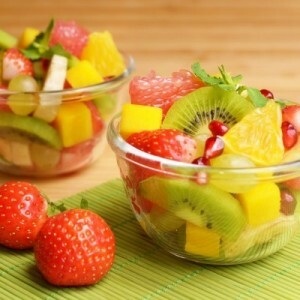 Great article Crystal, fruit is great for health, fruit of the spirit is great for improving health too !!!!!! What a great article with Scripture! Liked your writing “fruit inspection!” That was cool! Not to brag (all attributes are God’s Gifts, right?) but I scored an 89 percent, in my opinion. Have a real hassle with “self-control.” (Please pray that I QUIT SMOKING CIGGIES, Crystal!) Also in losing my temper, my voice goes loud, become a real nag. (My poor hubby, Gary!) Yes, do quickly apologize…just wish it wouldn’t happen in the first place! To use your words, Crystal, I shall continue to “cultivate it with the light of Jesus.” How beautiful those words are! Thanks so much for writing this, Crystal! Oodles of blessings for you and your family, Crystal! Crystal, thanks for the encouraging reminder of who God wants us to be. What a blessings, what a privilege to please our Lord and SAVIOUR Jesus Christ..Thanks for sharing. My Our Heavenly Father continue to bless you and yours. Thank you so much! As we live into the fruit of the Spirit, we experience the kingdom of God on earth and we live Jesus’ message: the kingdom of God/heaven is within you. NT Wrigth talks about the Kingdom Project and how each of us can be part of that. It is through the fruit of the Spirit that we expand the Kingdom of God on earth. I enjoyed this article. I would like to ask if I could share this with our Christian school, Faith Christian Academy, Waynesboro, GA., acknowledging yourself as the writer of course. Thank you in advance for your consideration. Thank you Melanie. By all means, share this. Great idea. Thank you for even asking. Thank you for your research and time and life experience that fully explains this texts. Also make sermon preparation a joy. Thank you pastor Nate for your comment. Very good article……..I am trying diligently to memorize all the fruit and I get to seven and then struggle. I need to make some memory cards and put them around. But memorizing doesn’t do a person any good to memorize and then not put the fruit to use. To use the fruit, I need the help of the Holy Spirit. On my own, I am fruitless. But at least memorizing the fruit will help me and maybe someone else who hears the words and then seeks where the words come from. Thanks for the article and prayers for the author and contributors. I don’t hold myself out to be a biblical scholar but one category of spirit fruits not listed that I believe really should be and is IMHO most absent in people is HUMILITY. Thank you Mr. Woods. Your point is a valid one sir.